Text tool – Learn Picasa and Google Photos! Have you ever wanted to have an arrow to point to something on your photograph? 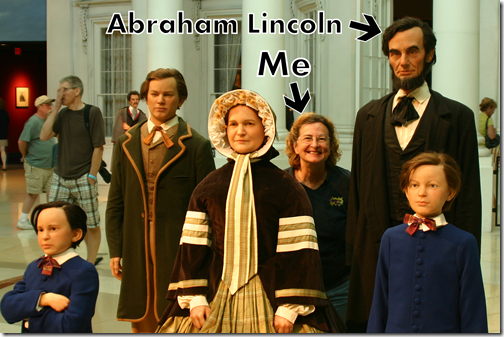 This picture was taken at the Lincoln Presidential Museum in Springfield, Illinois. We love visiting Presidential Museums as we travel and Lincoln’s was especially memorable. Here you see where the entire Lincoln family poses very patiently all day, every day, so you can have your picture taken with them. 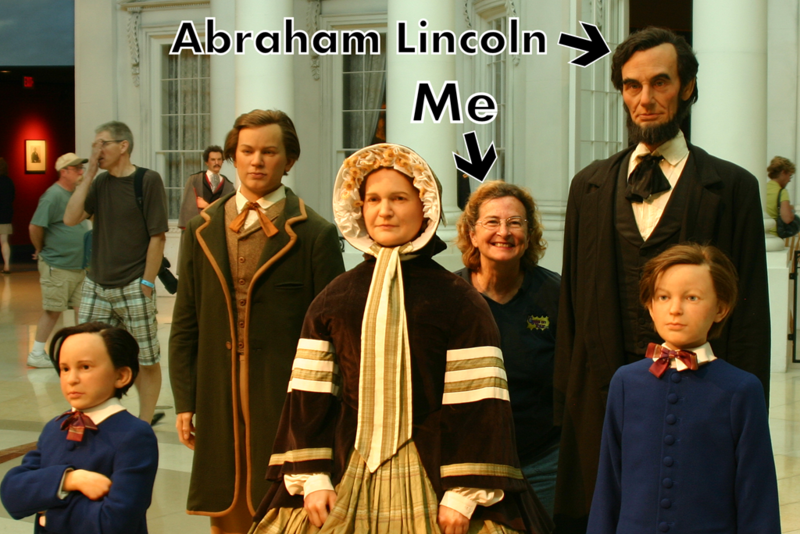 Pointing out Mr. Lincoln and me seemed a fun thing to do. The text is easy with Picasa, but how do you get the arrows? Well … it’s also using the Text Tool. You just need a text character that looks like an arrow. There are lots of them. 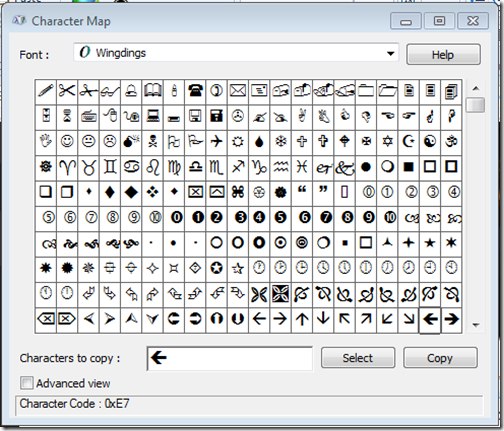 Open the Character Map accessory application in Windows, find the character you want and copy it. There are some simple arrows in the Arial and other standard fonts, but I like the slightly fancier ones found in the Wingdings font. Click on the one you want, then click Copy. Now, come back to Picasa and the text tool, then use the keyboard shortcut, Ctrl-V, to paste. 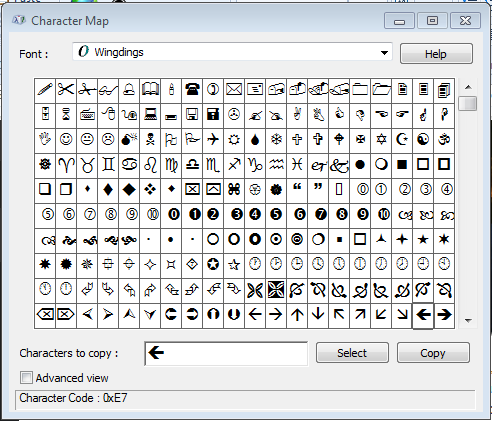 You’ll probably just see a letter, like ‘F’ at first – if so, it means you need to change the font in Picasa to Wingdings … the font showing in the Character Map. I also added a white outline to the black characters to help them be more readable. You need to know that the text will not wordwrap, so you must end each line with Enter. It also helps to have a solid background for the paragraph. But, notice that you can control both the fill color and the outline color of the text. If you play around with making the fill a light color and the outline dark (or vice versa depending on your background), you can usually make the text pretty readable.